The colours are not as vivid I remembered when last I used these foils but they're OK. I mattified most of the RH and the blue and champagne are VERY nice mattified, I must say! 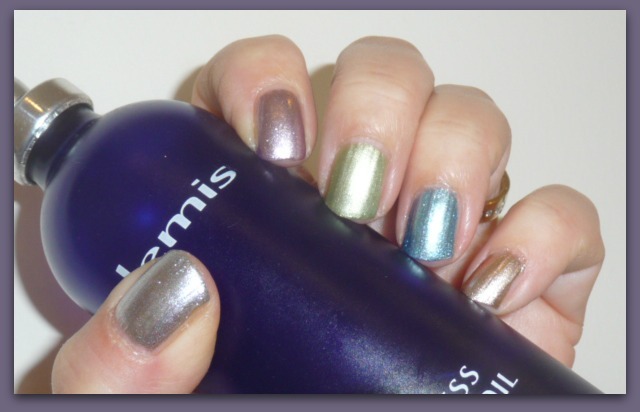 Do try this method with your foils because it can reveal some otherwise undetected qualities.